Want Your Real Life Back? Is your New Year’s Resolution to reduce the amount of time you spend on Social Media sites? Or maybe it’s to completely stop the time-sucking that is Facebook and Twitter. 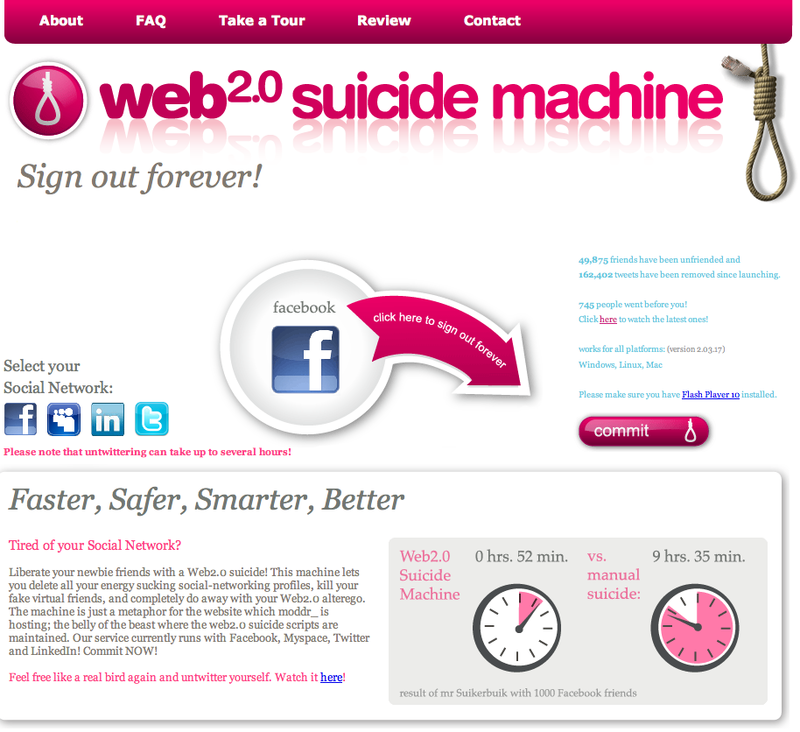 Here’s a site you should know about…Web 2.0 Suicide Machine . It allows you to sign out of all your Social Networking sites forever. This is for serious quitters only. Once you commit Social Networking suicide – there is no going back. It takes less than an hour to delete all traces by the suicide machine. Manual suicide? 9 hours 35 minutes. Watch videos of those who were brave even to commit, read their last words…and do it if you dare! FB murdered the social media suicide tool!! They control us more then we know!